Got Plans for the Super Blood Wolf Moon? – Zero Equals Two! Got Plans for the Super Blood Wolf Moon? We’re getting a Super Blood Wolf Moon on Sunday in the US, and there’s a lot of hype around it. What does that mean, you ask? During January, the Full Moon is named for howling wolves. The Moon will turn crimson for a little while during the course of the eclipse, hence “blood.” Oh, and the Moon is super because it’s at about its closest approach to the Earth, making it appear larger. This is a fine opportunity for magick that might be best performed during the dark of the moon. Even if you don’t attribute any magical meaning to this event, it will be a fine visual effect. Cnet notes: “We get two to five supermoons every year, while the gap between blood moons is anywhere from six months to about three years. 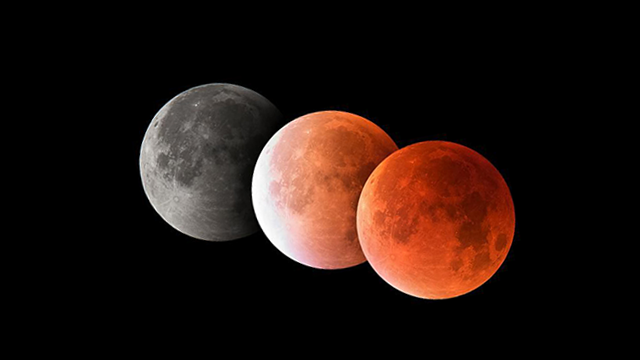 You can also plan on around one to five super blood moons each decade, but they only fall in January three times this century (the third and final 21st-century super blood wolf moon barely qualifies, since it falls at the very end of the month on Jan. 31, 2037).” Also, for those who care, there will be a conjunction of Venus and Jupiter visible with the bare eye at about the same time.